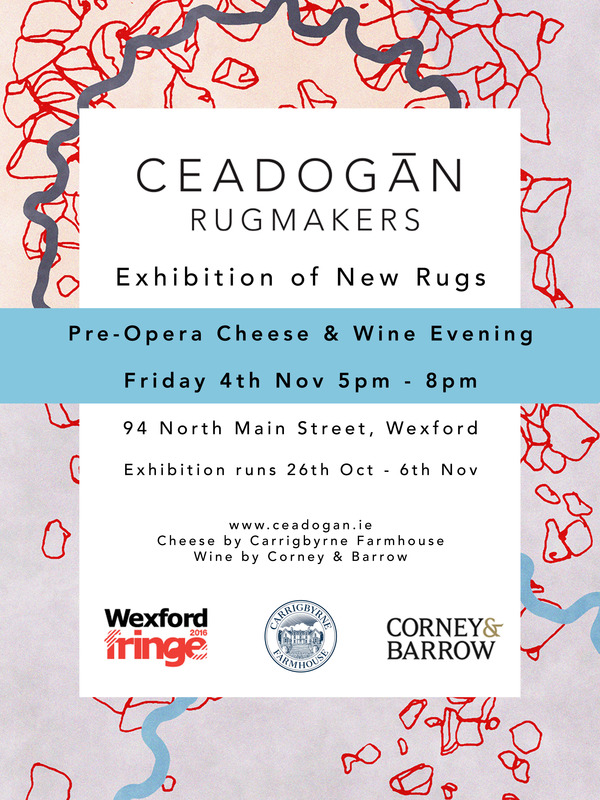 We are delighted to be exhibiting new rugs at the Wexford Festival this year. To celebrate this we are hosting a pre-Opera cheese and wine event from 4pm -8pm on the evening of Friday the 4th of November. The exhibition is located at 94 North Main Street, Wexford (directly opposite The Vine Restaurant) and will be on from the 26th of Oct to the 6th of November.